90 Day Fiance debuted on TLC five years ago and has featured 32 love-seeking couples on its six completed seasons -- including six couples on Season 6, which wrapped its season on the network in January. 90 Day Fiance follows the love lifes of romantic Americans and their foreign partners. After using a special K-1 visa to bring their foreign partner to America, 90 Day Fiance's couples are required to get married within 90 days or have their partners return to their home countries. While many of the couples met online or via dating apps, they appear to have found true love overseas and are still together and happy to this day. Many couples are still married with children, believe it or not! 90 Day Fiance chronicles the struggles and daily obstacles these couples face in order to make their relationships work. But there are also memorable highs and beautiful moments shared. The reality series is so popular in fact, TLC has launched multiple 90 Day Fiance spinoffs -- including 90 Day Fiance: Happily Ever After?, 90 Day Fiance: Before the 90 Days, 90 Day Fiance: What Now?, and the upcoming 90 Day Fiance: The Other Way and The Family Chantel. So which 90 Day Fiance couples have stayed together, and who split up and ended up divorced? 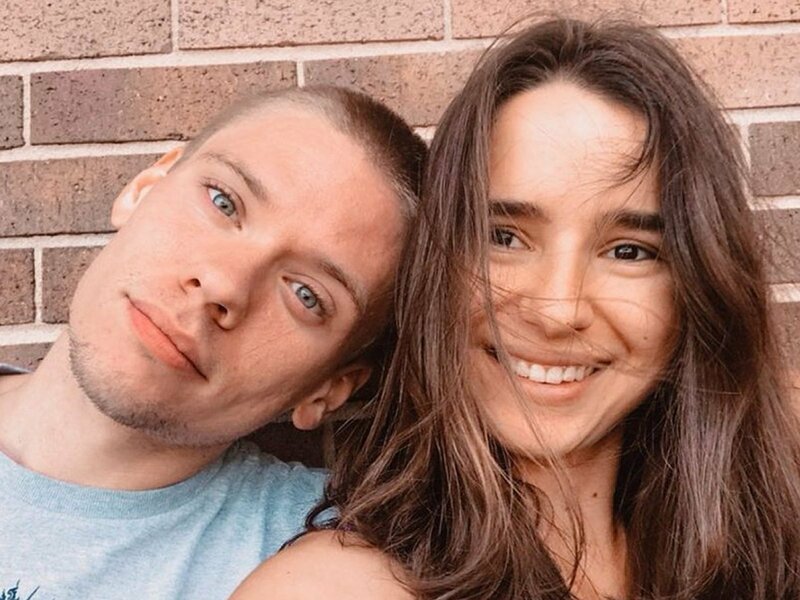 Viewers likely recall former 90 Day Fiance couples that have returned to star in 90 Day Fiance: Happily Ever After? like Russ Mayfield and Paola "Pao" Mayfield, Jorge Nava and Anfisa Arkhipchenko, Chantel Everett and Pedro Jimeno, David Toborowsky and Annie Suwan, Molly Hopkins and Luis Mendez, or Nicole Nafziger and Azan Tefou. However, what happened to the rest of 90 Day Fiance's earlier couples -- such as Elizabeth Potthast and Andrei Castravet or Evelyn Cormier and David Vazquez Zermeno from Season 5, Matt Ryan and Alla Fedoruk from Season 4, Loren Goldstone and Alexei Brovarnik or Melanie Bowers and Devar Walters from Season 3, Danielle Mullins and Mohammed Jbali or Jason Hitch and Cassia Tavares from Season 2, or Aziza Eloshway and Mike Eloshway from Season 1? And how about 90 Day Fiance's most recent couples -- Season 6 couples Jonathan Rivera and Fernanda Flores, Ashley Martson and Jay Smith, Eric Rosenbrook and Leida Margaretha, Kalani Faagata and Asuelu Pulaa, Steven Frend and Olga Koshimbetova, and Colt Johnson and Larissa Christina Dos Santos Lima? What is the current status of their relationships?? Click our BEGIN GALLERY link below to browse through all of the couples of 90 Day Fiance and learn whether they have split or are still together!